Fischer’s Inc. has been providing a superior level of quality and service to its clients since 1946. Operating out of New Orleans for over 72 years, Fischer’s Inc. has earned a reputation for excellence throughout the Gulf Coast region. 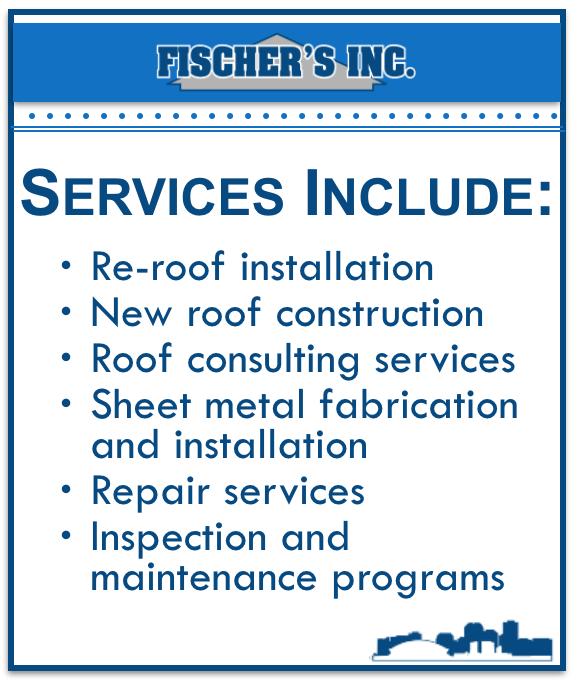 While specializing in low-slope roofing, Fischer’s Inc. provides comprehensive commercial roofing services including the installation of Modified Bitumen Roofing (MBR), single ply, fluid applied coatings, metal architectural standing seam and wall panel systems. Our professional staff is experienced in the latest roofing technologies and trained to install all major manufacturers’ roof systems.